With the new MICE app, once burns victims leave hospital they can receive ongoing care from the comfort of home. For people with burn injuries, getting fast and appropriate treatment is critical. But some patients live far from the closest burns specialist. Burns can also take a long time to heal, and patients need ongoing advice to support their healing process. We’ve teamed up with the South Metropolitan Health Service in Perth to create a way for burn sufferers and their treating clinicians to get fast, accurate and secure specialist advice. While we haven’t (yet!) developed a way to beam specialists to hospitals (sorry, Star Trek fans), we have developed the next-best thing: a mobile app to instantly connect specialists with burns sufferers and their clinicians. 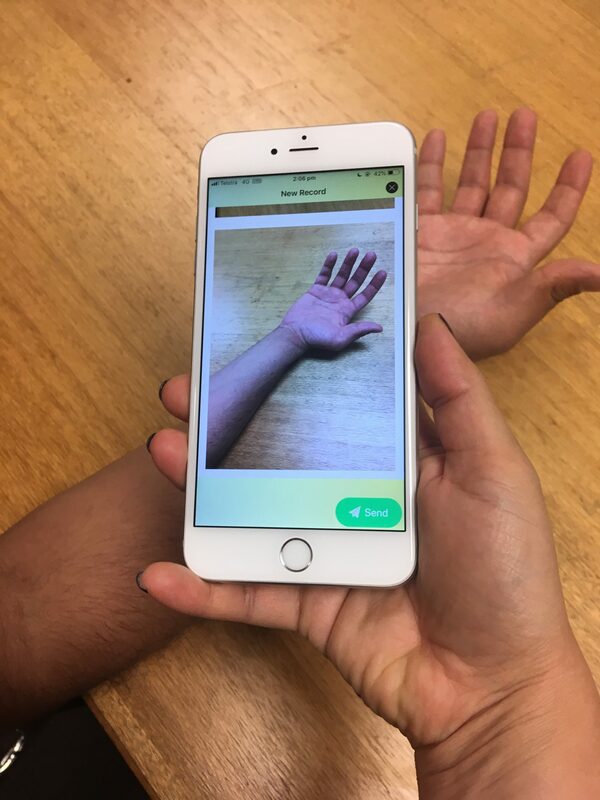 Telehealth researchers from our Australian e-Health Research Centre worked with the Fiona Stanley Hospital to develop and pilot a mobile app called Mobile Image & Communication Exchange (or ‘the MICE app’ for short). Using the MICE app, clinicians can take photos of patients’ burns and scars, and securely send them to a burns specialist. The specialist can take a close look at the wound, then send back real-time advice through the app on clinical decisions and treatment. This means the patient can get the care they need straight away. 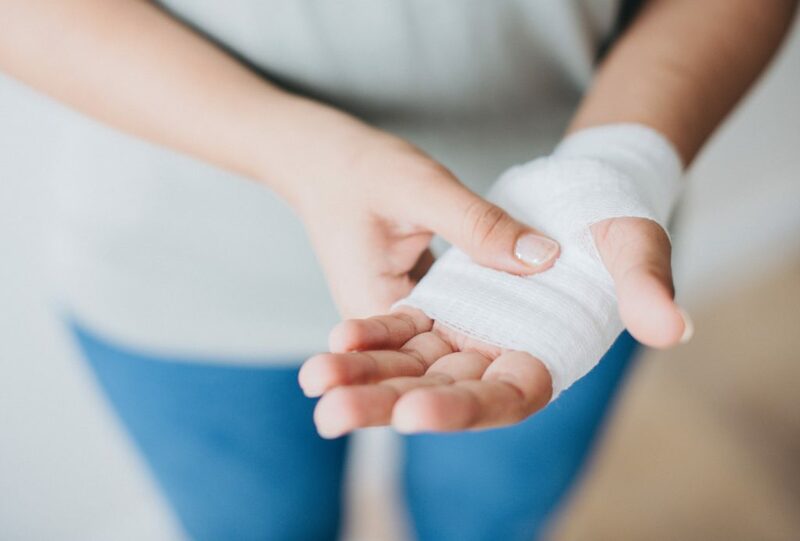 Recovering from a burn can be a slow process, so the hospital runs a Burns Early Discharge Programme to allow patients to leave hospital and receive ongoing care from the comfort of their own homes. The MICE app was used as part of this program to let the visiting nurse take photos of the patient’s wounds from home, and send those photos to clinicians for ongoing monitoring and advice without having to visit hospital. Clinicians can take photos of patients’ burns and send them securely to specialists with the new MICE app. What’s new about sharing photos by mobile? With the patient’s consent, the clinician takes a photo of the patient’s burn through the MICE app. The MICE app that then sends the photos to the specialist, who can provide instant advice. The app stores the treatment advice and images in the hospital’s systems. The MICE app then automatically deletes the photos from the phone. Our telehealth researchers say this sort of tech could probably be used in other areas, such as wounds or dermatology. The MICE app is part of a gradual shift towards using digital tech to improve Australian healthcare. The team has also been busy developing similar solutions to help GPs scan patients’ eyes for conditions like diabetic retinopathy, and even an app that lets parents view live video of their premature babies in NICU (the Neonatal Intensive Care Unit) at hospital. Curious about digital health? Our eHealth team has been keeping busy.